Loftiss says “Make It Work” Monday: Making tight shoes fit! So you all know my love for gold. Well a few weeks ago not did I find gold flats but shiny gold flats that were on sale. YES!!!!!! The only problem was they were a size 9. I am a true size 9.5. Of course I bought them and thought “Oh well…I’ll just Make It Work!” I have always heard fables of putting snug shoes in the fridge to stretch them. I decided to try it myself! 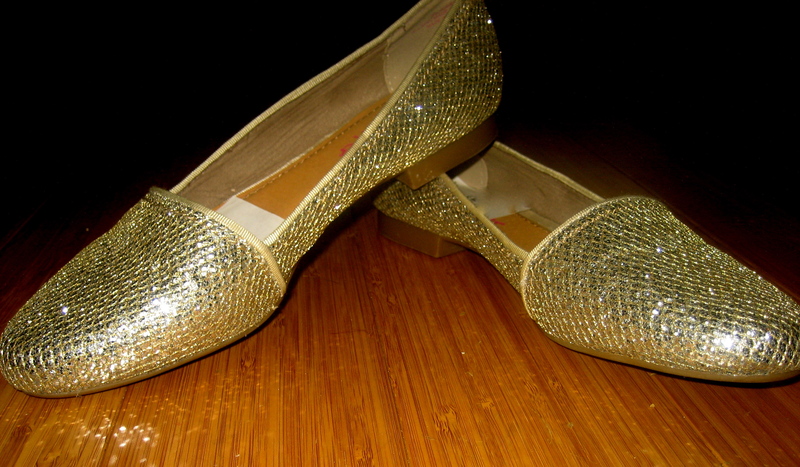 My Wizard of Oz slippers…just gold instead of ruby! I grabbed gallon size ziplock bags and filled each of them with water. You want the water to fill the entire shoe- no empty space. 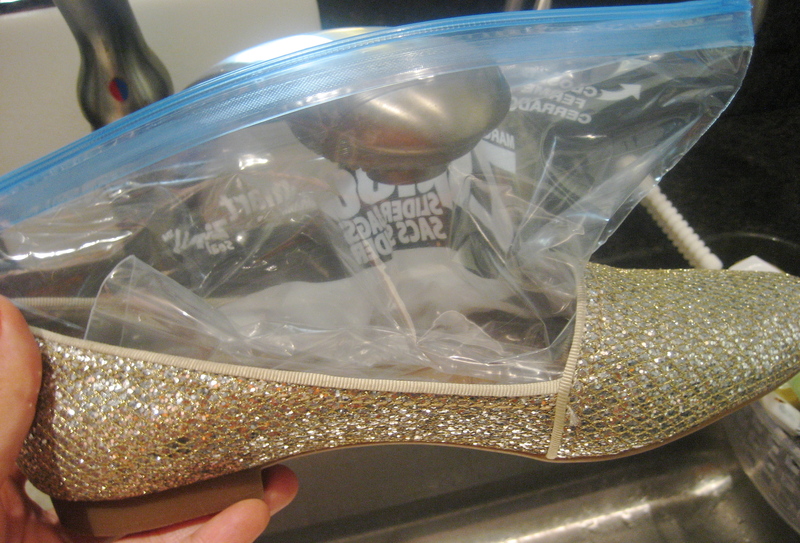 Next I placde both shoes in a ziplock bag just in case they choose to leak (they didn’t) and put them in the freezer. 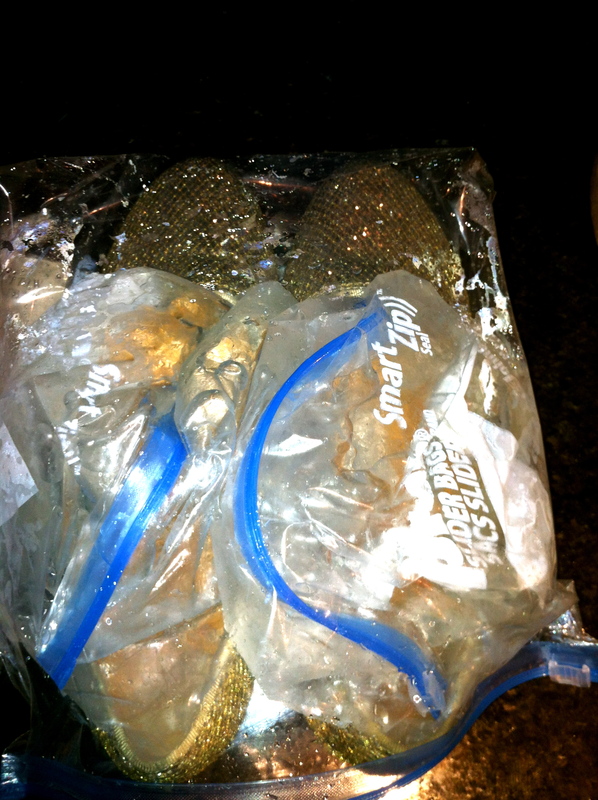 I forgot to tell my fiance’ of my experiment and he heard them ask “Baby why are there shoes in the freezer?” whoops. After 8 hours I pulled them on and walked around the house trying to gently stretch them. Ohhhh they were cold!!!!! I did this process twice (8 hours each). 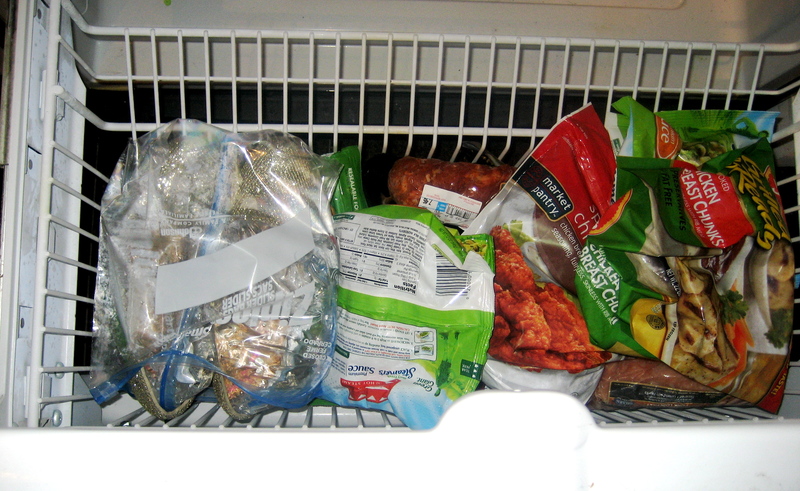 I then left them overnight in the freezer. I woke up the next day and let them thaw in the tub. I have to announce IT WORKED!!!!!!!! I don’t think this process would work up to a full size. But if you want to stretch a shoe to a 1/2 size I say do it!!!! 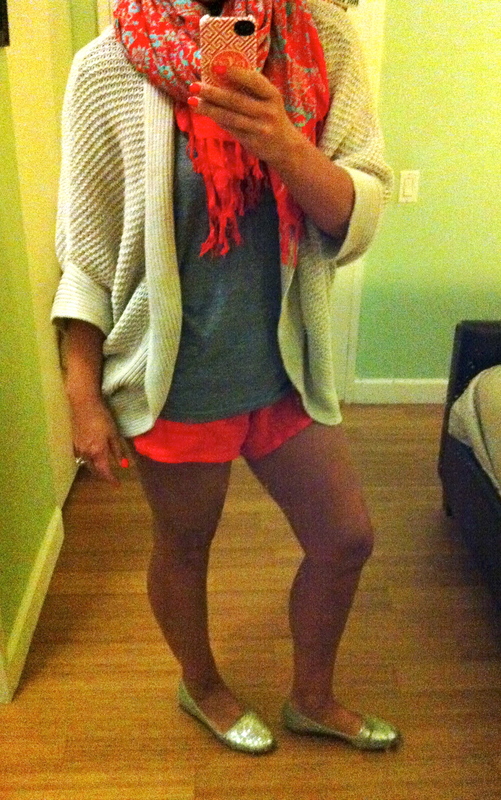 Def will work for leather, running shoes, flip flops and loafers like mine. Here’s a pic of me Thursday morning on the way to Dallas. My shoes were the perfect travel shoe. Tags: Make it work, Make It Work Monday, shoes, shoes fit. Bookmark the permalink.